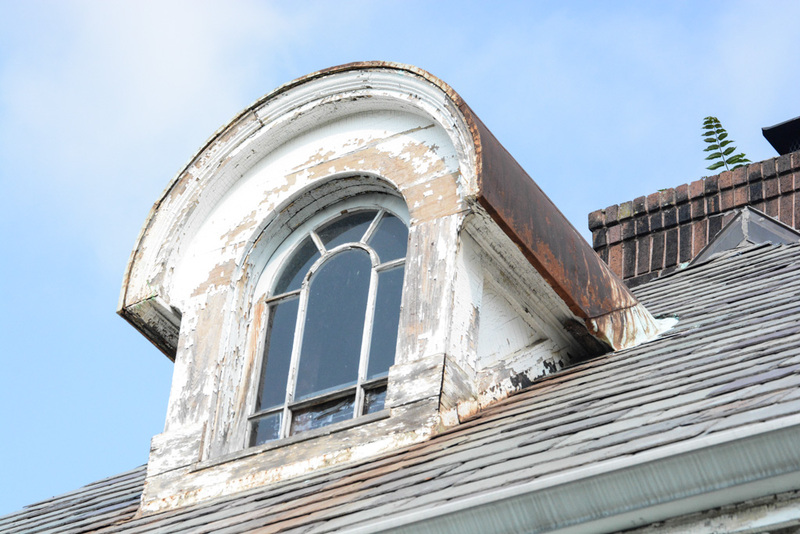 Being all fired up about the progress that is to be had this summer I decided to start scraping paint off of the dormers. Start at the top and work my way down, if you will. That and the slate people were offering to give me some pointers as to how to be up on my roof and how to use jacks properly to allow me to paint the top part—not something I was willing to pass up. How often do you get the chance to have tips given by professional slate people? There aren’t that many of them around these days. . . So let’s start with the stripper, shall we? 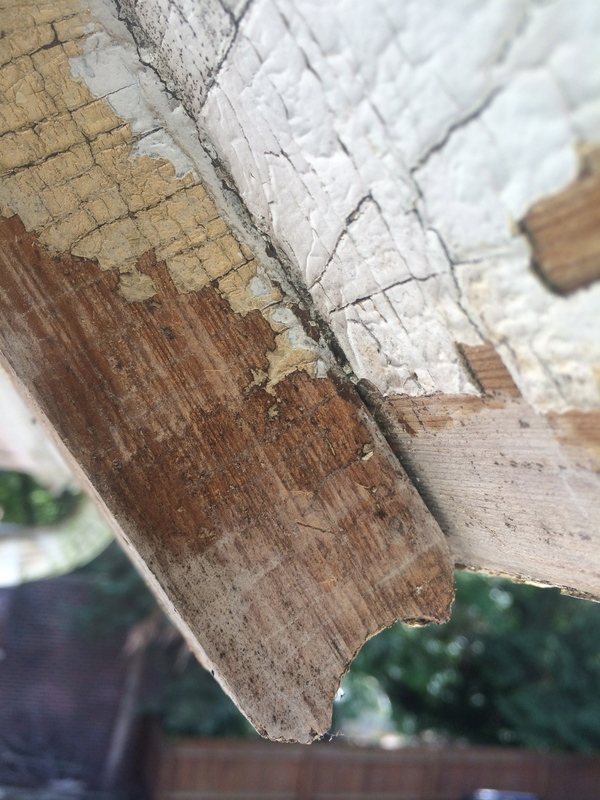 Note: This is a house blog, I assume we’re all aware that “stripper” is how we (as house bloggers) refer to chemical paint remover, paint stripper, etc. It just allows us to spit out the word much quicker than constantly saying “chemical paint stripper.” Glad you’re with me on that. In knowing my own habits… I take precautions and all, but the likelihood of my accidental swiping away a hair or wiping my hands on my work pants is pretty high and in previous experiences with highly toxic chemical strippers I’ve found, inevitably, I’ll do something that causes me more pain than I care to repeat. 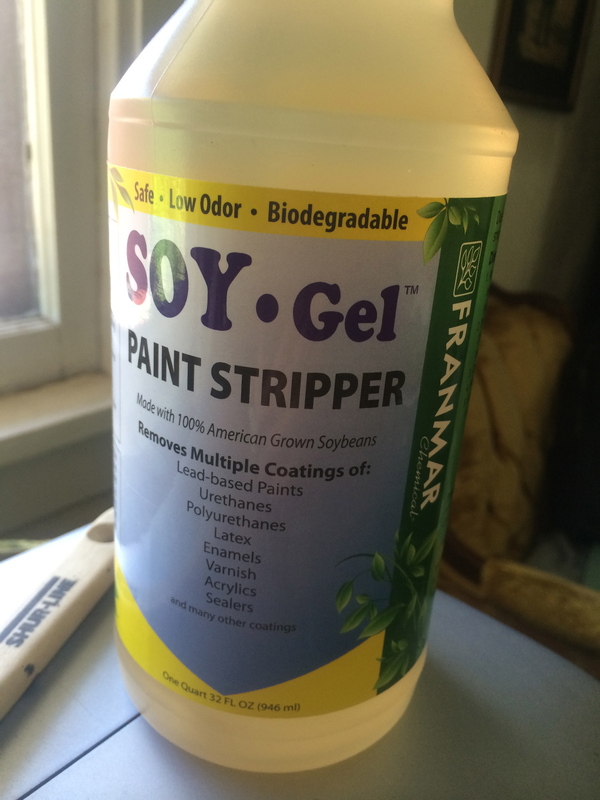 After a plethora of online reviews, plus my own notes about various strippers used indoors, I opted to try Soy-Gel paint stripper. It helped that Amazon Prime had the ability to ship it to me and have it on my doorstep a few hours after I ordered it (seriously, same day shipping is dangerously easy). Since it’s claim to fame is how environmentally-kind it is and it’s so safe you can technically work without gloves I really, really wanted it to work. 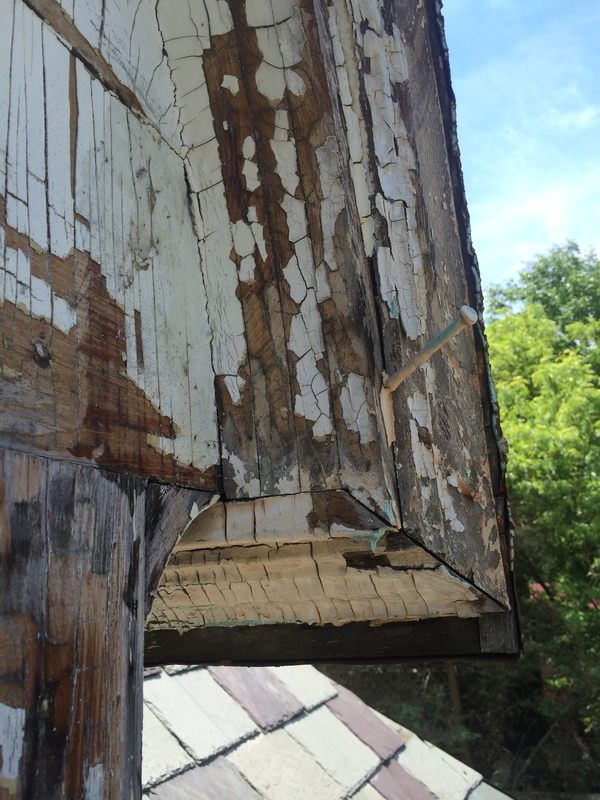 I started chipping off the loose paint and managed to do admirably on the parts that had heavy sun exposure. To those areas that didn’t see direct sunlight – those were prime candidates for having a little soy-gel slathered on. 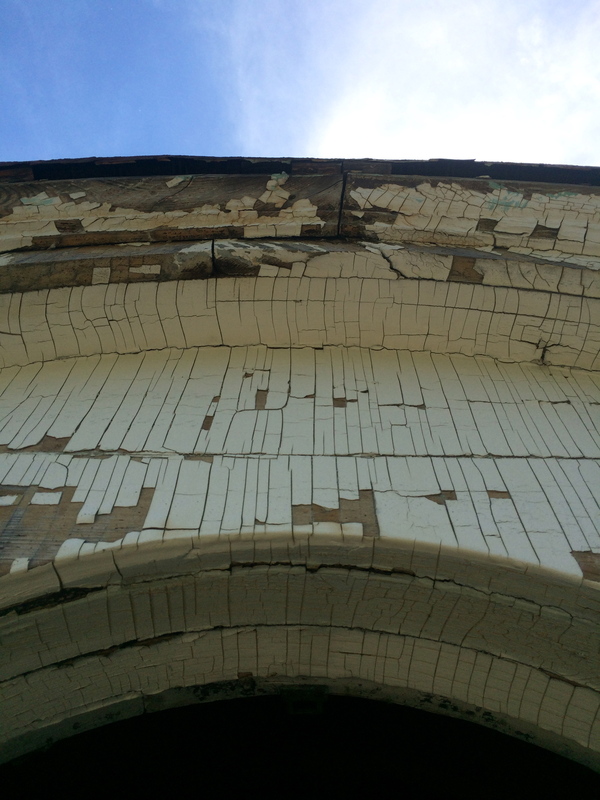 As promised, the friendly-stripper did remove layers of paint. Granted, it didn’t remove them all at once. Nor did it do it quickly. I smeared on at least 1/4 an inch of goop, covered it with plastic, and let it sit for variations of time to test. For my, most definitely lead based oil paint, two hours was really the minimum. Sadly, it isn’t a miracle worker. I always try a product hoping that this, THIS will finally solve my paint problems…. but alas. It’s still tedious. 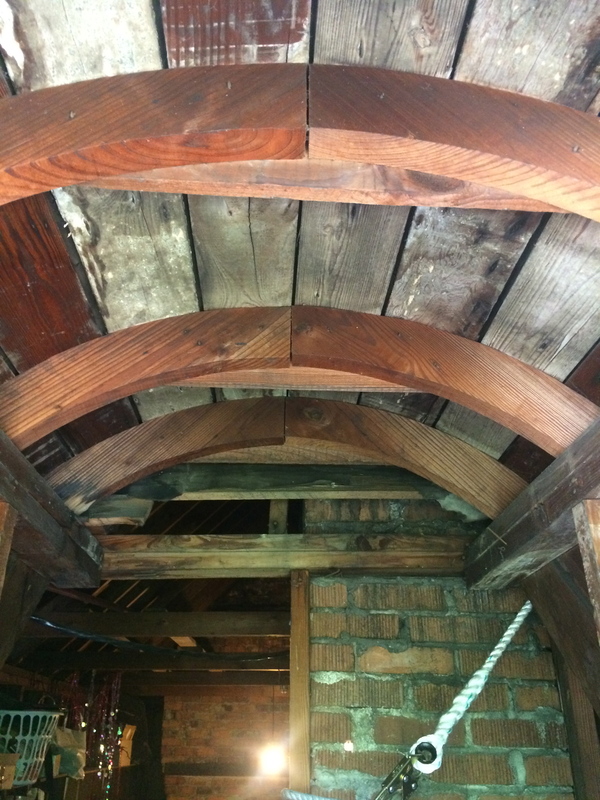 Since I had to wait for the stripper to work, I give you some views of our dormers and attic that are rarely seen (even by us). I would probably enjoy it better up here if it weren’t for the spiders. They freak me out. 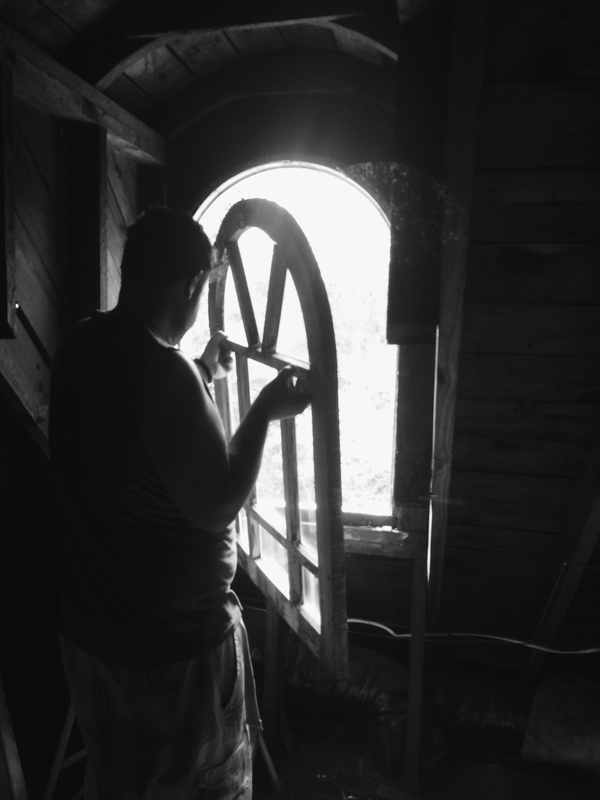 Being roped to the chimney and hanging out the dormer window—totally not a problem…. but those creepy arachnids? Ugh, such a problem. And yes, safety first. 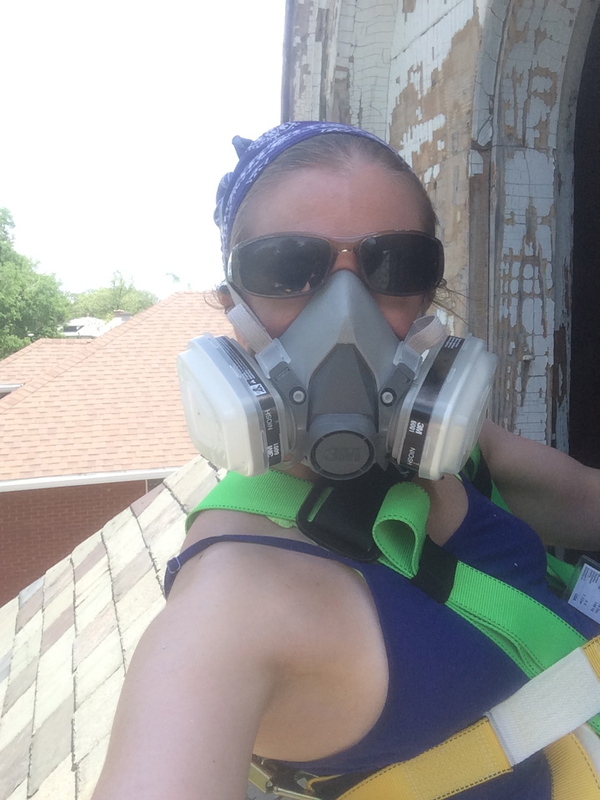 I am wearing a roofers harness, respirator (lead paint), sun glasses (they serve as goggles), and a bandana – for keeping bugs out of my hair. 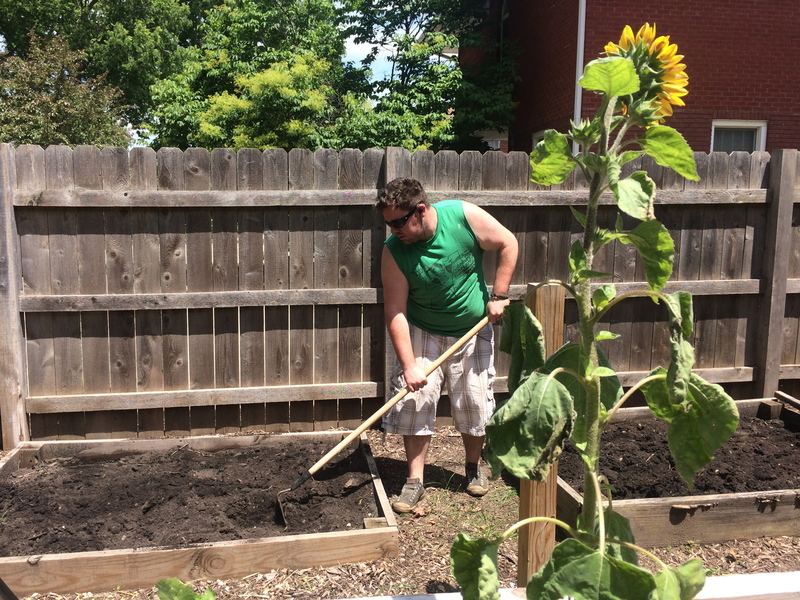 While I’m up here, the husband is being the urban farmer and putting in our garden. 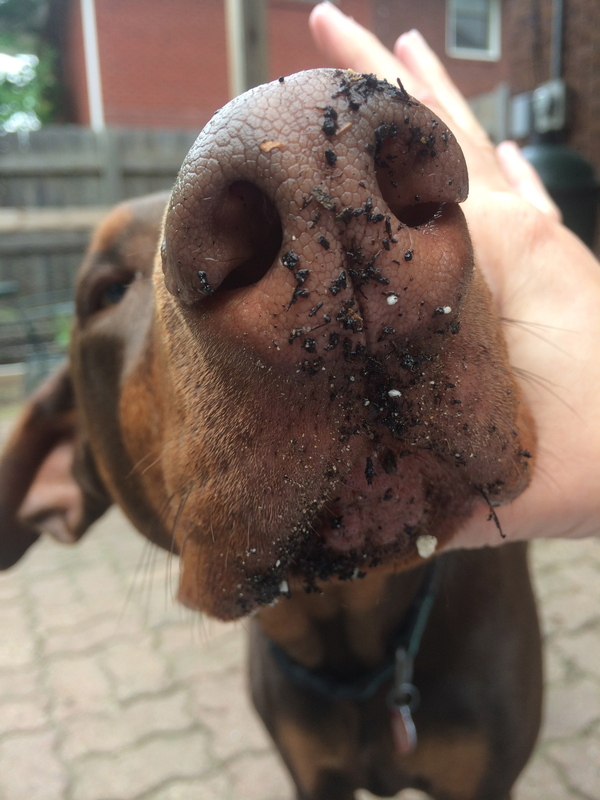 And Zeus is promptly eating as much fresh dirt and compost as he can without being caught in the act. . . 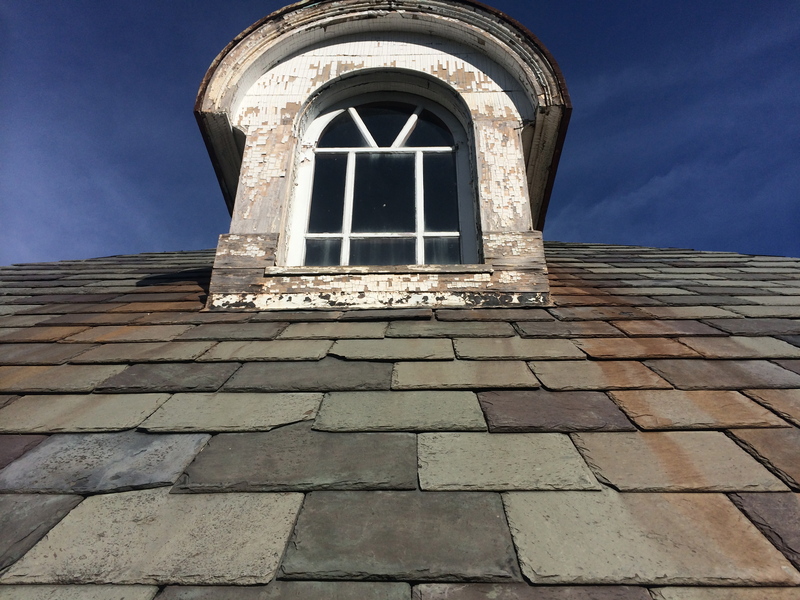 The Copper paint for the dormers and the slate people should all be here soon. At which point, things will REALLY start to get moving.